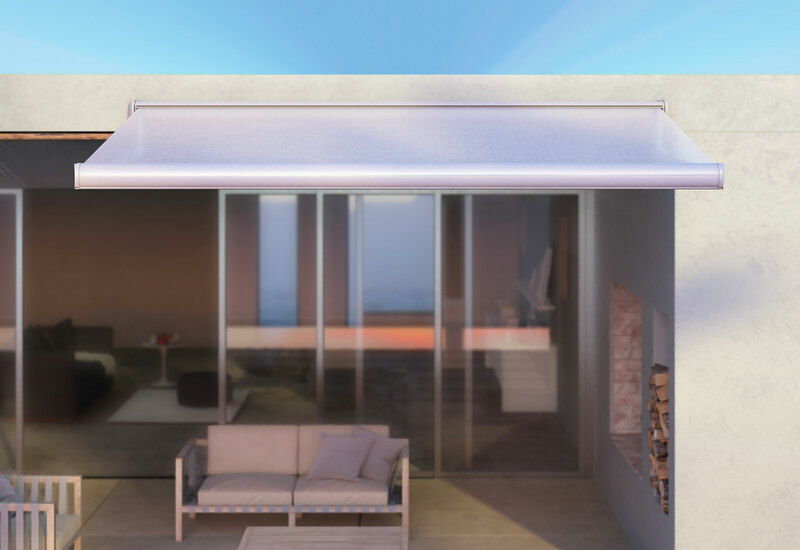 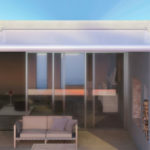 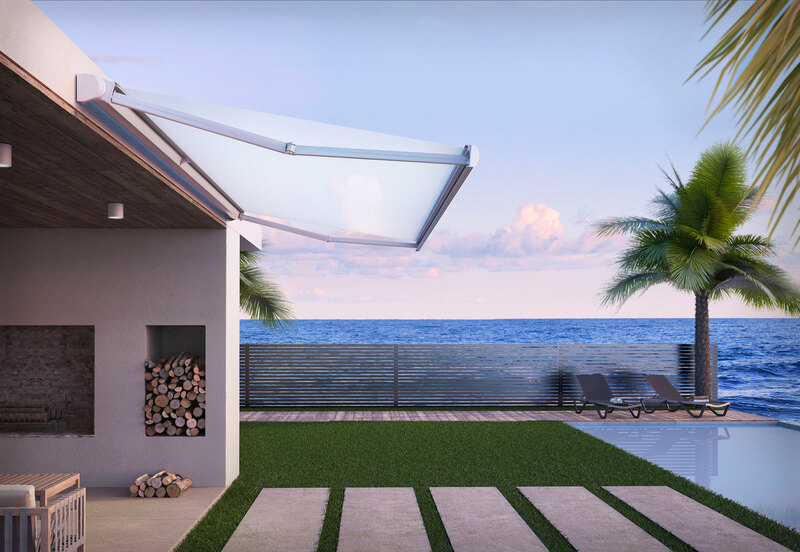 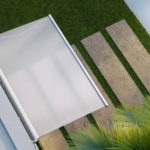 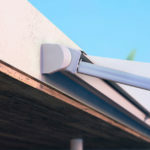 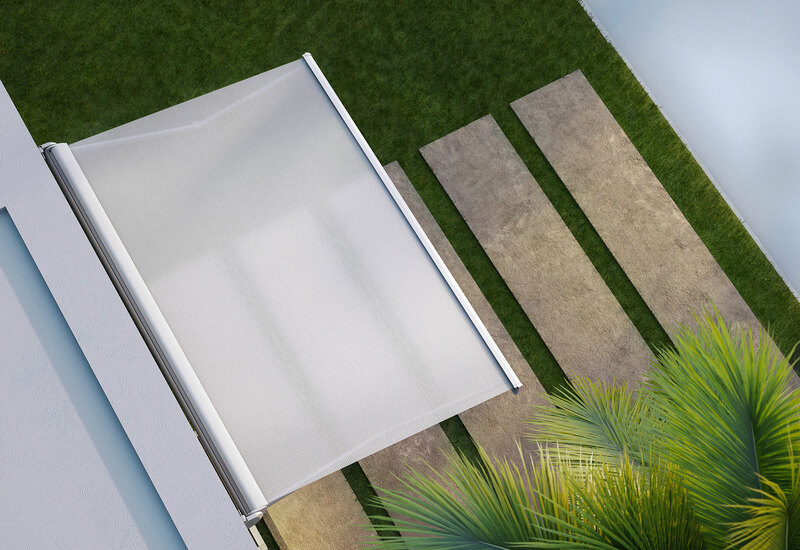 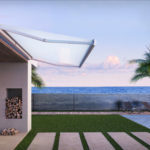 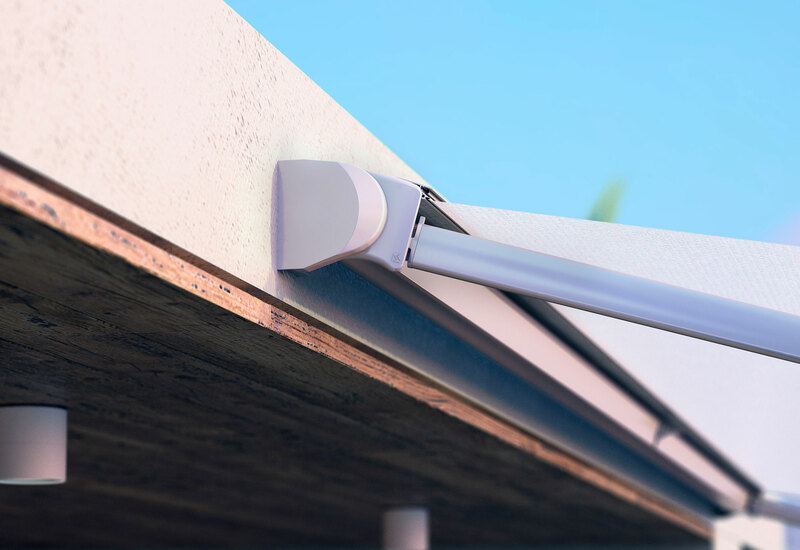 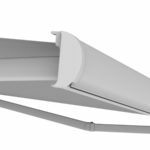 BASE PLUS is a fully cassetted folding arm awning on two side brackets and wall accroaching brackets with either a sheathed double cable or stainless steel chain arms. 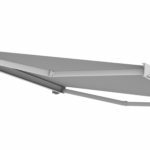 The cassette is supplied in three different profiles. 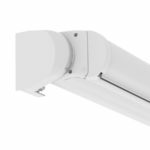 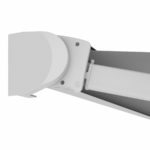 The brackets allow for either a wall or a ceiling installation and, besides the microregulation screw which ensures a perfect profile match, they are also equiped with a new inclination system that uses passthrough screws.